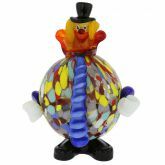 This beautifully handcrafted Murano Glass Clown is ready to make you laugh with his wide smile, funny exaggerated bow-tie, and trusted accordion in his hands. 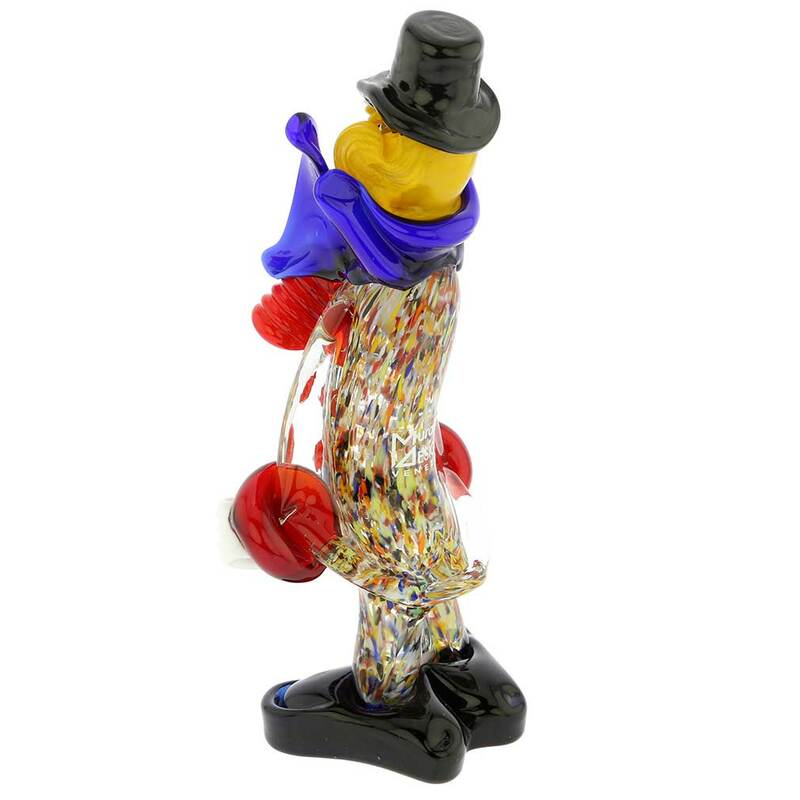 Featuring rich colors, fine details, and elegant forms, this Venetian Clown is crafted by Murano's best masters following the Island's ancient glass-making traditions. 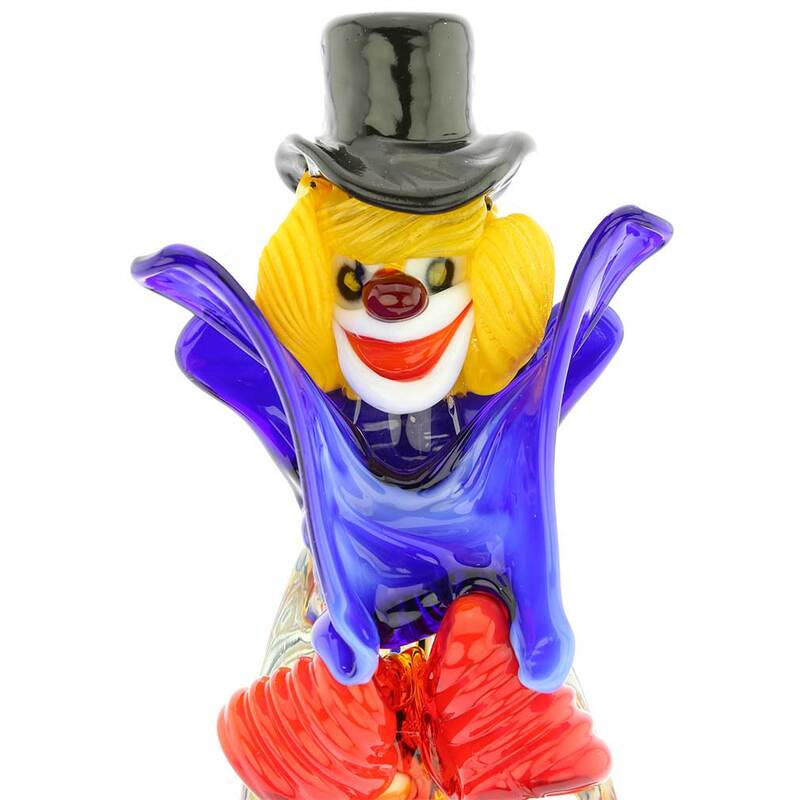 A classic clown figure has been a favorite of Murano Art Glass fans and collectors for years, perhaps because it has interesting similarities with the city of Venice itself. 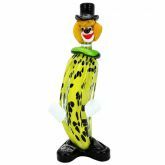 Eternally popular with the circus crowds just like Venice is with tourists, the clown character has the depth that remains undiscovered, just like Venice, where a lot escapes the typical tourist's eye. 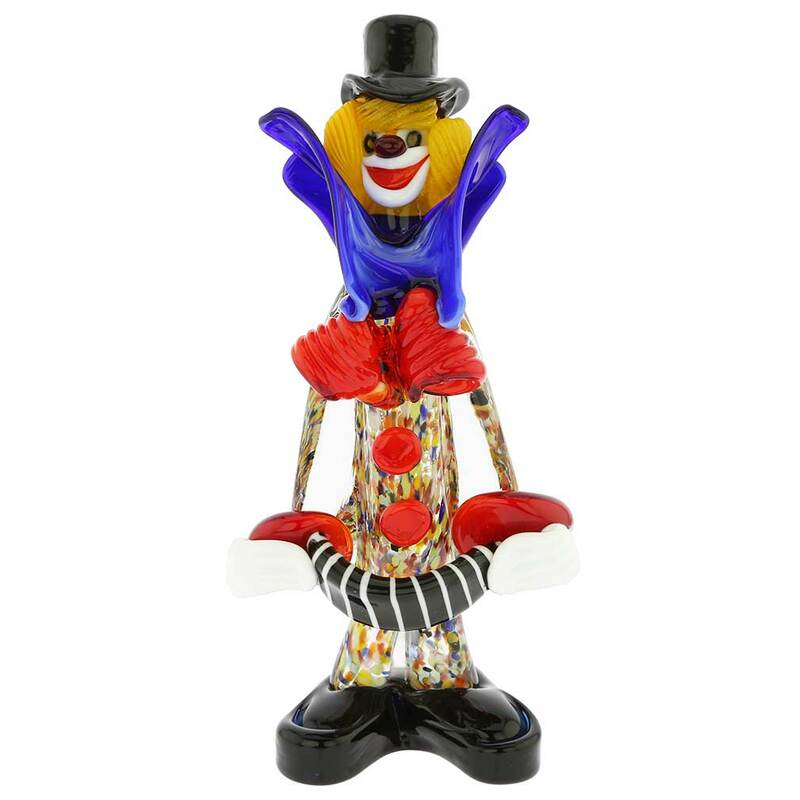 This Murano Clown will bring Venetian beauty and artistry into any home or office, and makes a fine special occasion gift to those who appreciate fine craftsmanship and love Venice. 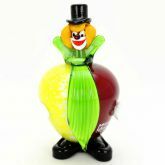 Measurements: This clown measures 9 inches in height and 4 inches in width in its widest part. The clown figurine is very well packaged to ensure safe shipping. 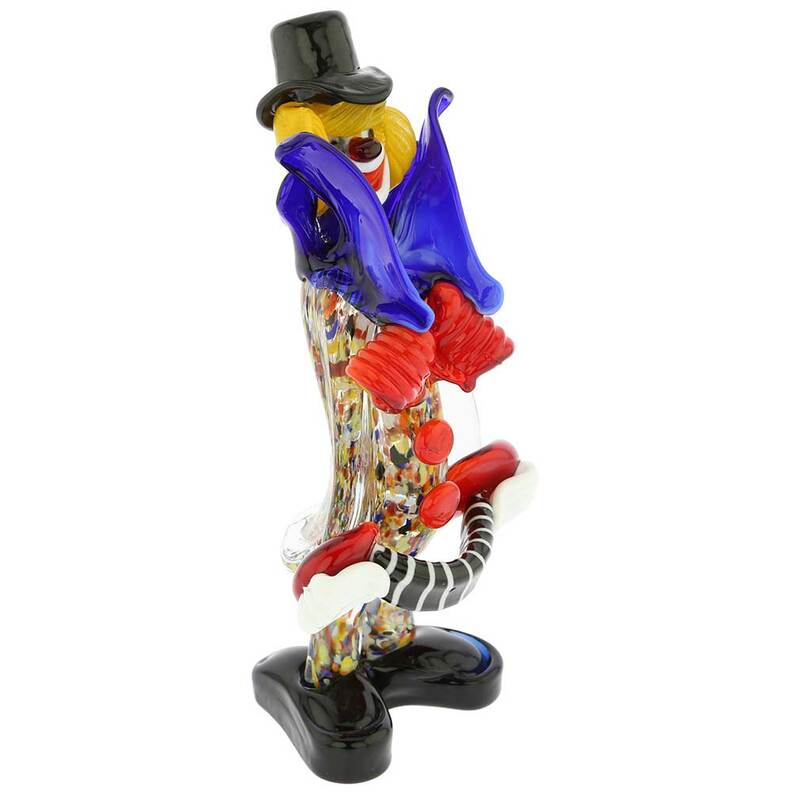 As this Murano clown is a unique piece of art made by hand, some variations of colors and patterns, as well as random bubbles inside the glass, are possible. 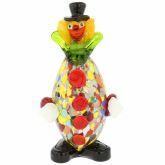 These are not defects but rather the very signs by which you can recognize the best in authentic Murano glass. 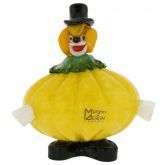 My grandparents had clowns. Now I do, too! My favorite! Very pleased with this beautiful, well crafted sculpture! Arrived promptly and well packed. Will definitely be shopping here in the future. 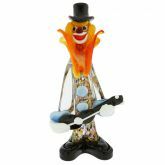 Thank you The Glass of Venice!! !